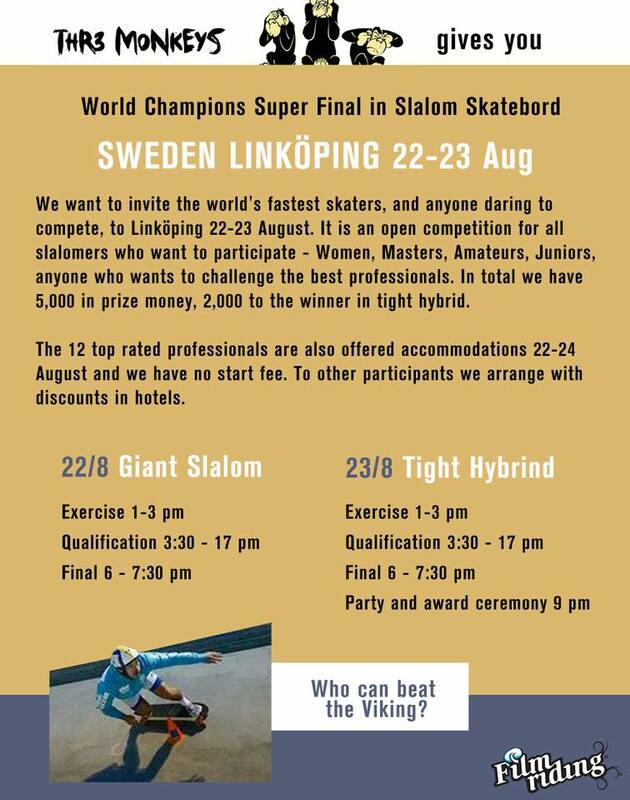 Short description of the "World Champions Super Finals" - Linköping, SWE, Aug 22-23(-24). 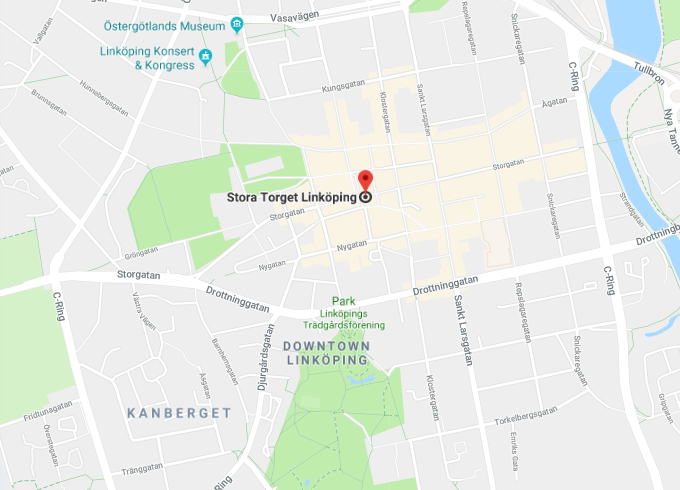 Which also has a part in Stockholm for the other classes Wom/Am/Masters, Aug 25-26. An official application form is under work. This is an overview of the setup. The main idea of all this is to make an event that has a part focused on only the best Pro riders like a World Cup. How such an event could look like and feel doing it this way. 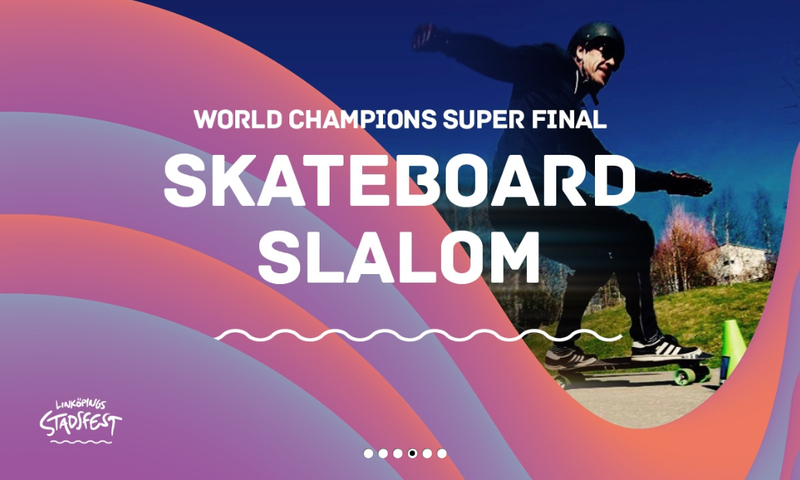 And make a TV-production on the whole thing to showcase the slalom skateboard as an exciting sport production. Having a budget behind to help the best pro riders to attend, help with accomodation, no start fee and a healthy amount of price money. But the other classes are also taken care of and why the event will be in two parts. One first part 2-3 days strictly concentrating only on the Pro class. And a second part standard 2 days weekend for the other classes. Proposed schema would be something like this. Wed Aug 22: GS/Hybrid - Training, Qual and Finals. Thu Aug 23: Tight Hybrid - Training, Qual and Finals. It will be a Main status Event. 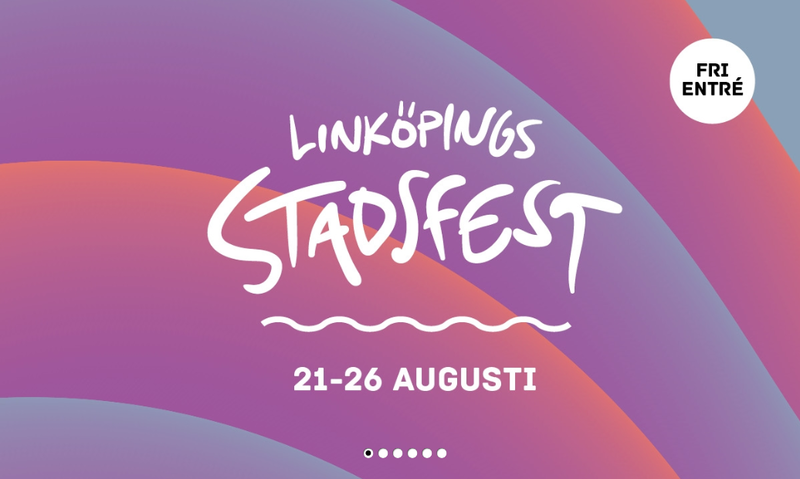 The racing in Linköping is on a big festival for the city anniversary. The racing in Stockholm is in the ditch at Highvalley Skate world. World Champion titles are in play for the Banked Slalom discipline. Setup for the Pro events on main race and festival day, Thursday Aug 23. 16 racers in the start field during Thursday. 12 select top pro racers will be pre-qualified for each H2H race. 4 spots will be open for qualifying on Wednesday. All racers are welcome to qualify. With this odd setup there will of course be many questions so feel free to ask them here. And even if all details are not yet decided at this stage we will try and explain what we can. 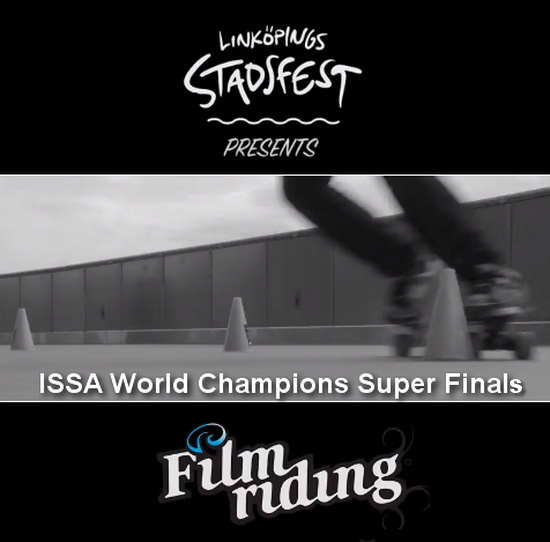 Welcome to the World Champions Super Final in the middle of the town of Linköping, Sweden. Disciplines: GS parallell och Tight Special head to head. 12 of the best PRO riders in the world are specially invited to the H2H racing, but the event is open for all. Each day there will be qualifying races where all are welcome to compete for the remaining 4 (or more) open places on Thursday. There will be a total of 16 riders per discipline in the finals. I.e. all who wants to challenge the 12 PRO riders are welcome. But to enter the Super Final on Thursday and make that happen you need a top 4 non pre-qualified racers each morning. Friday Morning Aug 24 is a reserve day for GS and Tight Special. will continue in Stockholm Fri-Sun during the Banked Slalom World Championships that is the second step of this ISSA event. 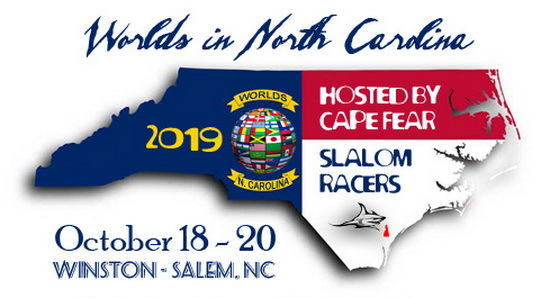 See the specific forum for the Banked Slalom World Championships for more info on this second step.